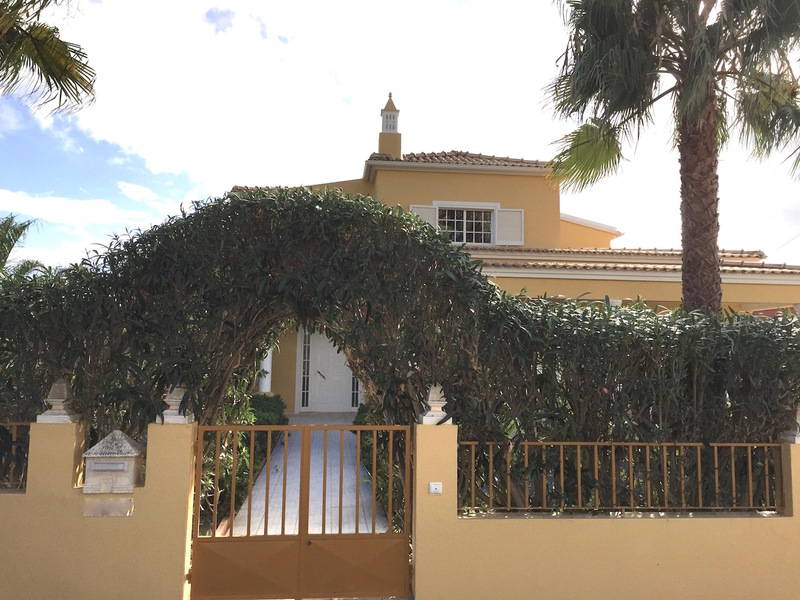 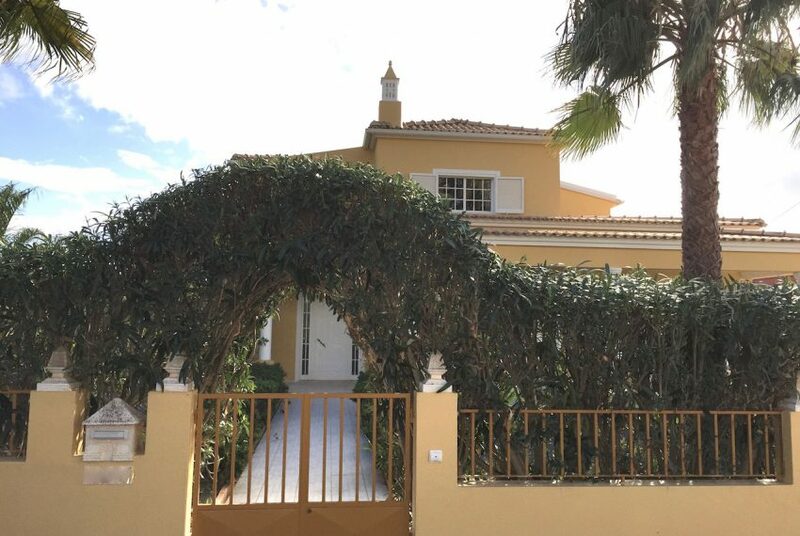 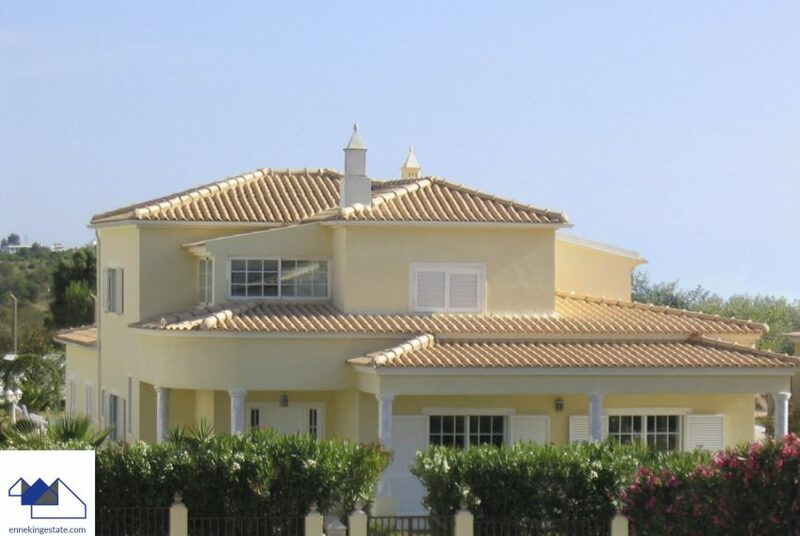 This Large 4 bedroom villa with pool in Ferragudo Portugal is located in a lovely, calm, residential area of Ferragudo, within a few minutes walking distance to the beach, restaurants, bars, gym, shops and supermarkets. 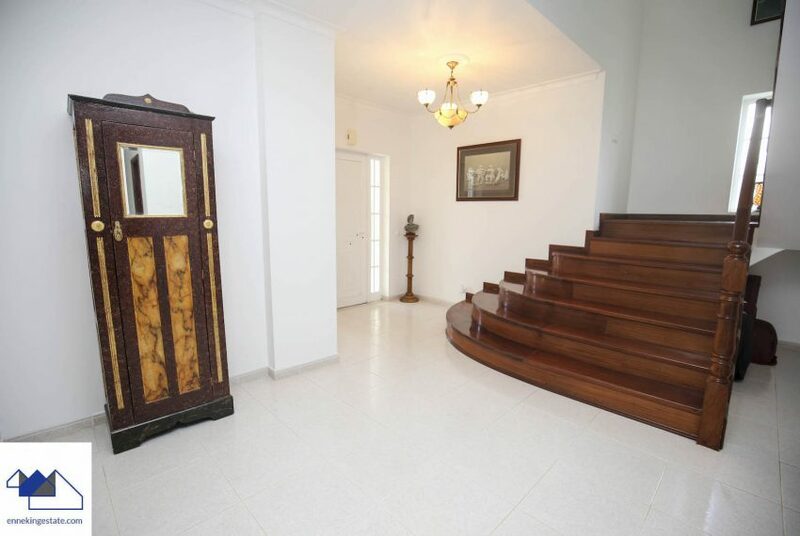 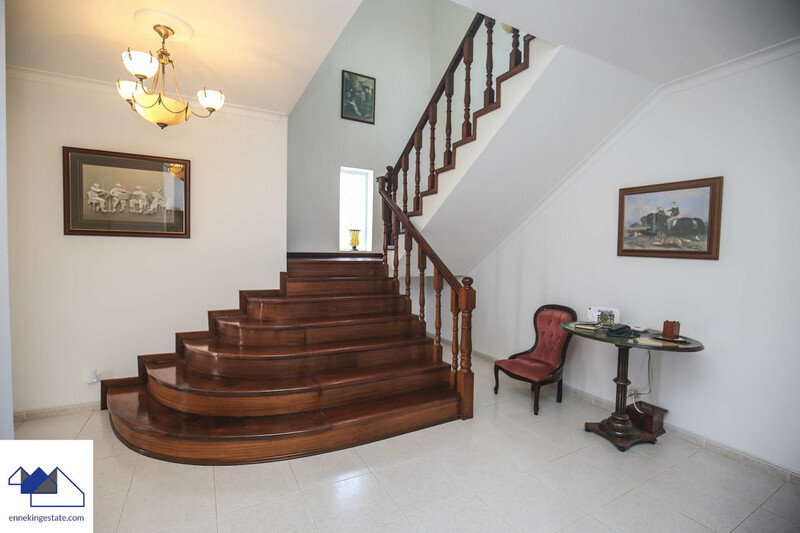 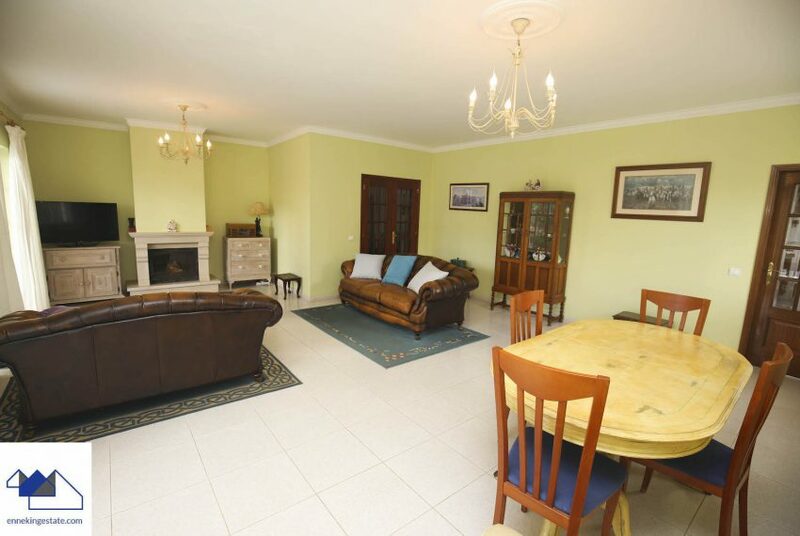 One enters the villa on the ground floor via a bright entrance hall with beautiful wooden stairs. Followed by a large bright living room/lounge with dining area and fireplace. 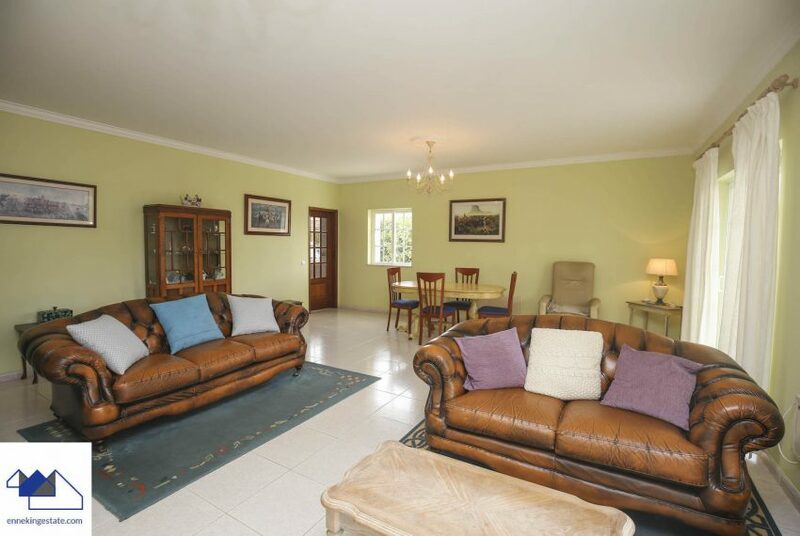 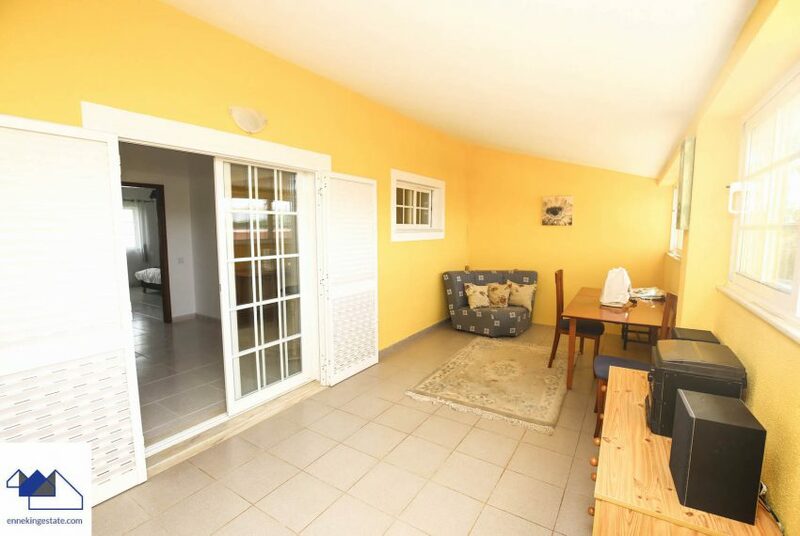 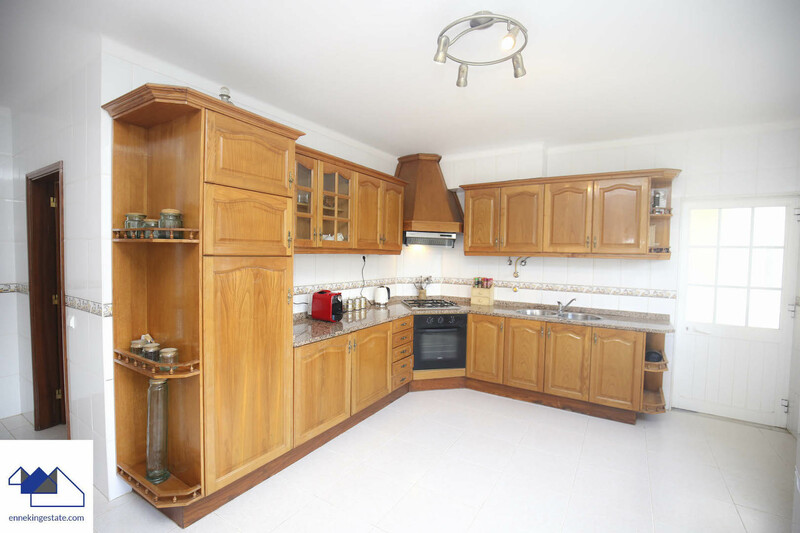 There is a spacious fitted kitchen fully equipped with electric oven, gas cooker, dishwasher, washing machine and fridge. 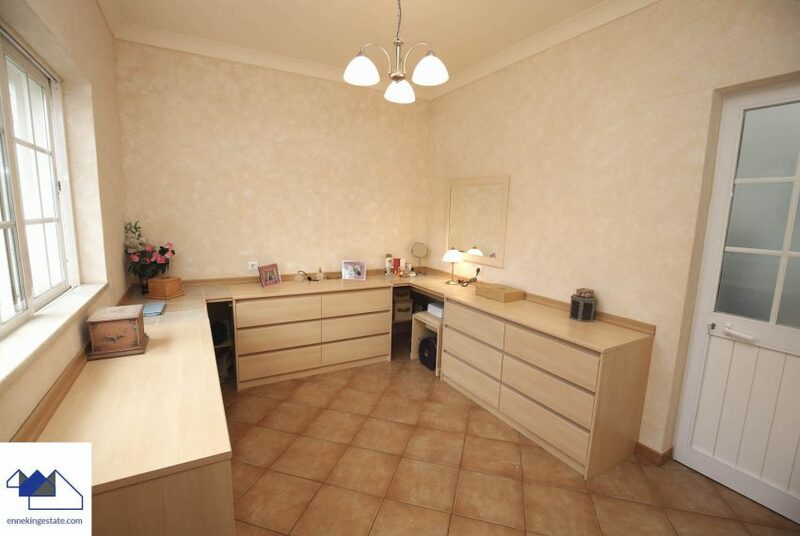 The kitchen also has a dining area and a large pantry/utility room. 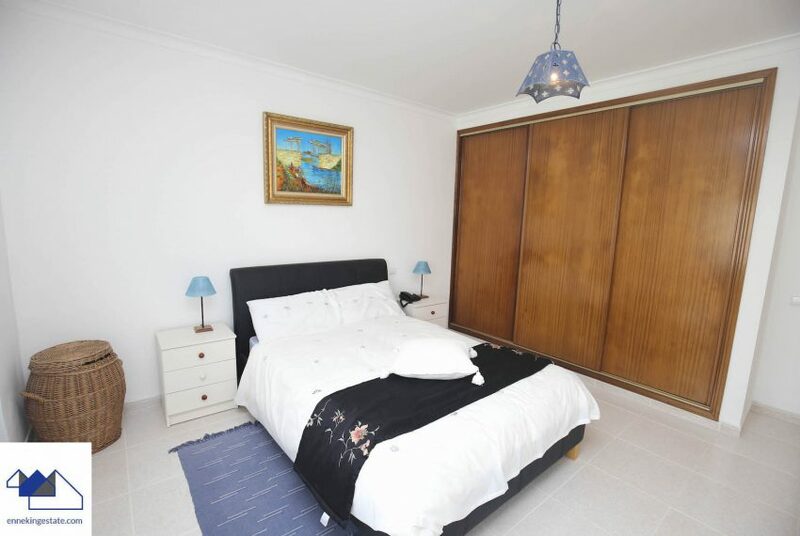 The master bedroom has an en-suite bathroom, with an adjacent dressing room (with private entrance to the fitness room) and is extensively fitted out with drawer units. 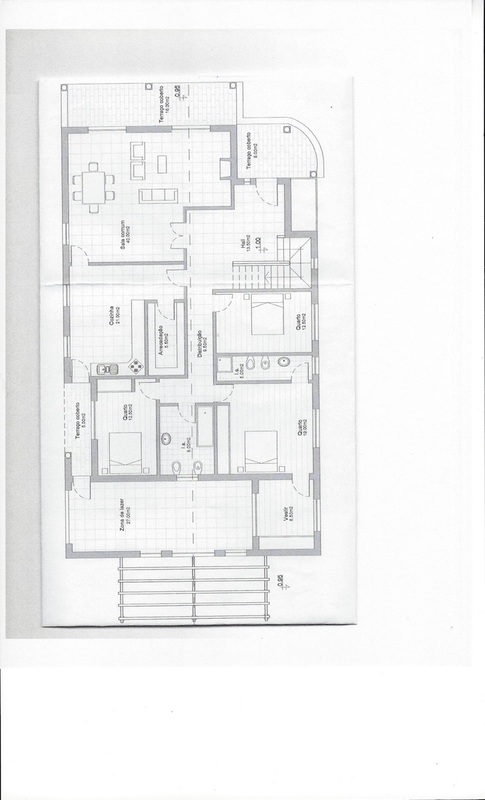 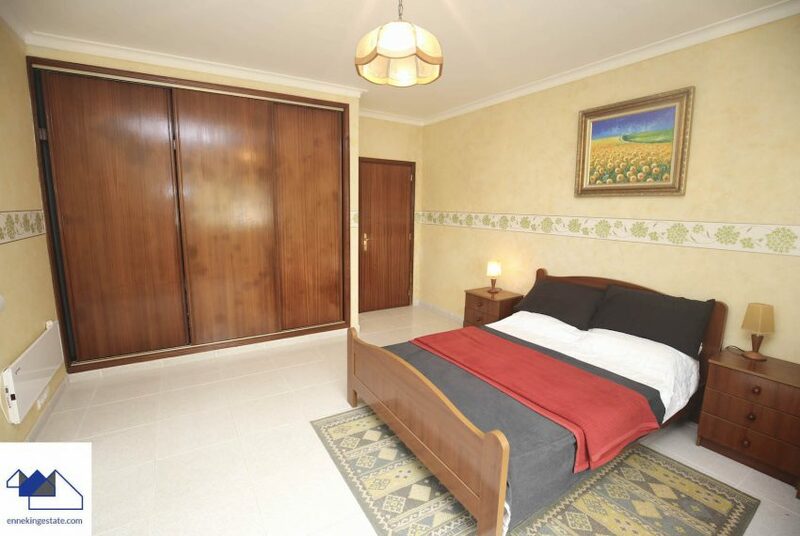 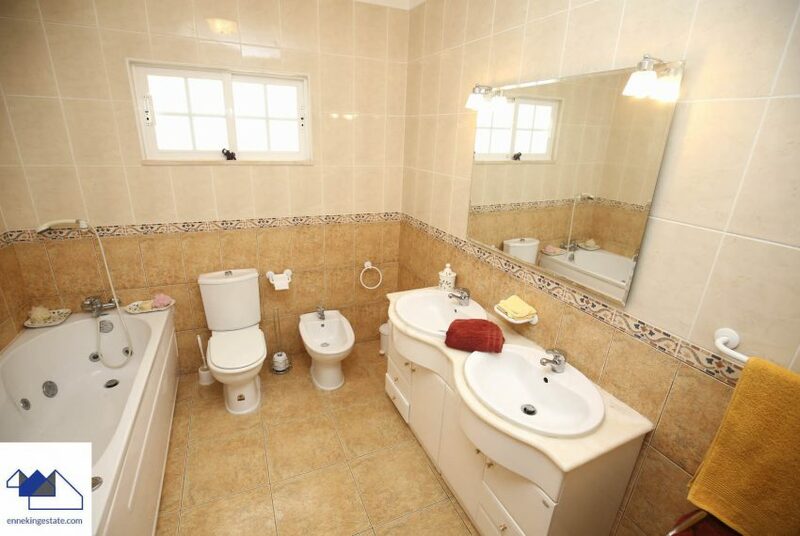 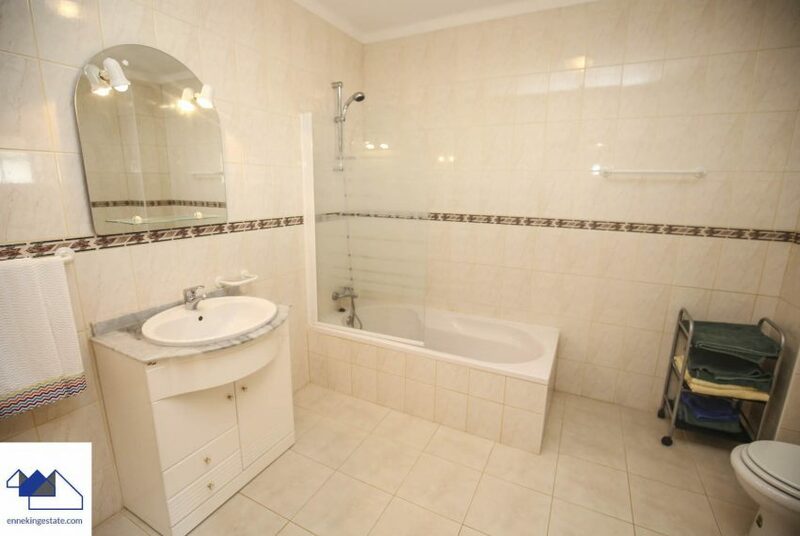 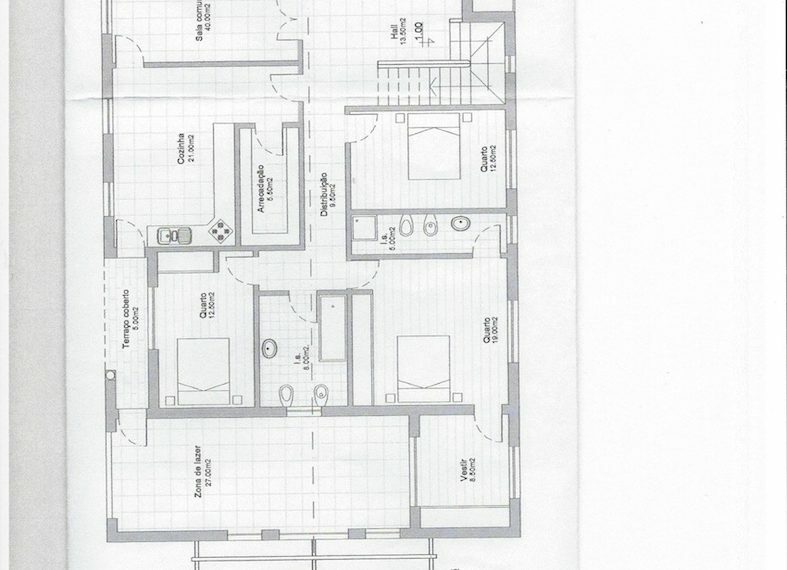 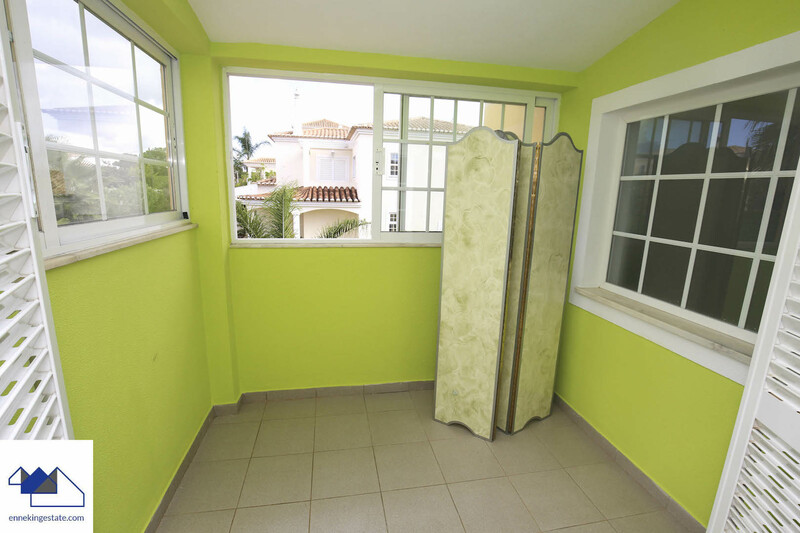 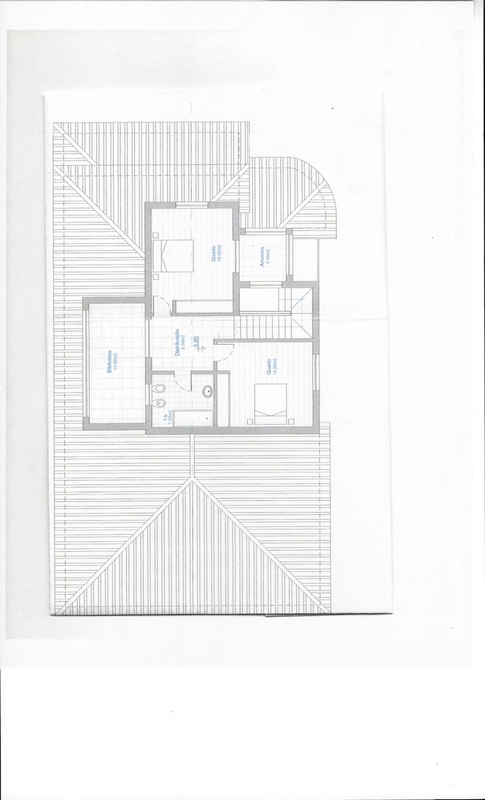 There is also another bedroom with an adjacent bathroom. 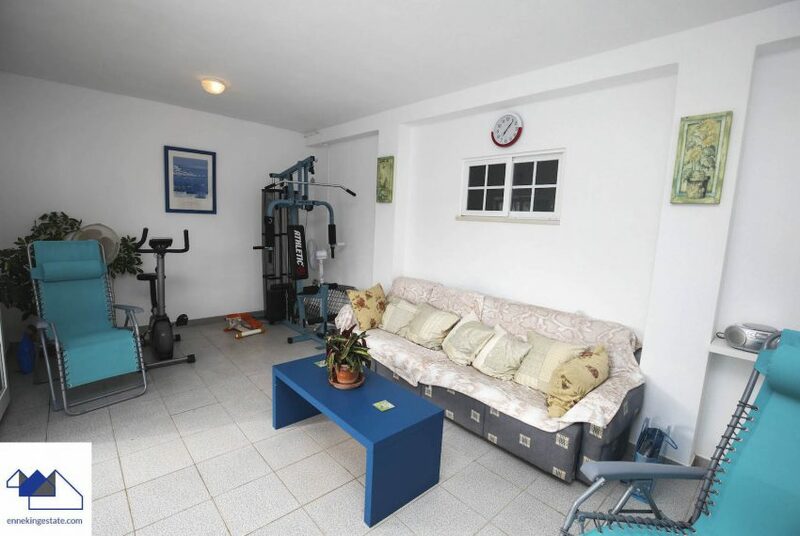 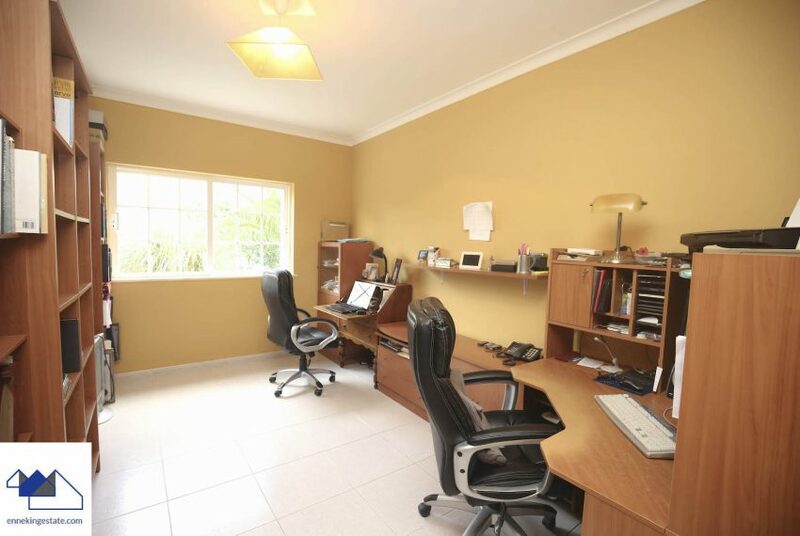 There is also an office (or potential extra bedroom) with broadband connection. The first floor leads to 2 bedrooms with a shared bathroom and a covered terrace that has been converted into an extra room. Pool area with BBQ and sunbathing area. 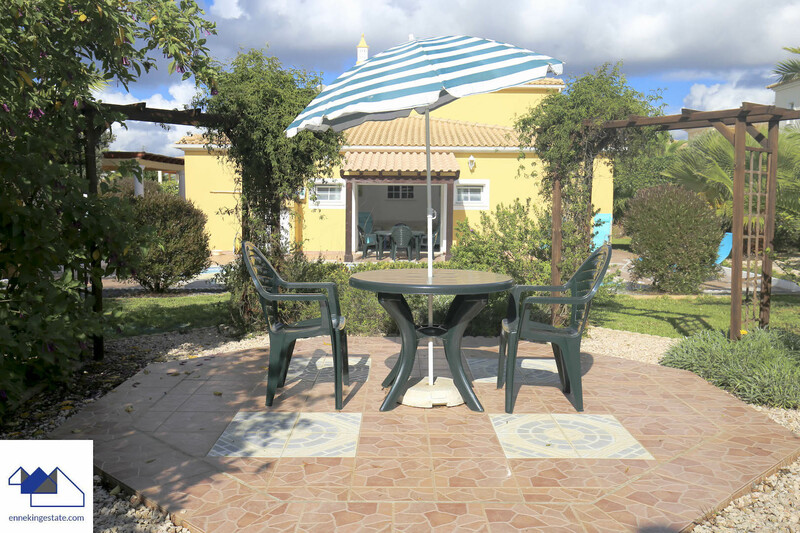 There is a lovely, fully enclosed garden with automatic irrigation and a selection of fruit trees, shrubs, and shaded sitting areas which offers complete privacy. 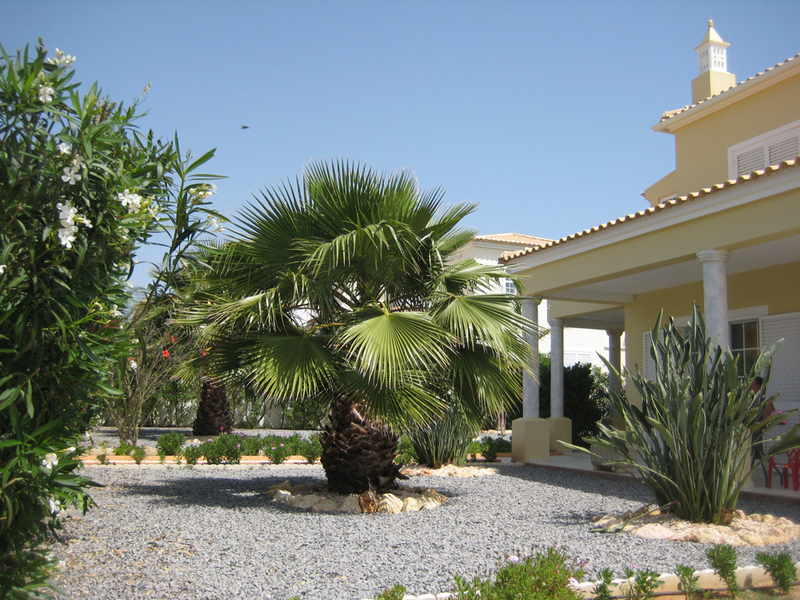 The large rear gardens back on to the proposed prestigious Pestana Arade 5* Golf and Leisure Development. 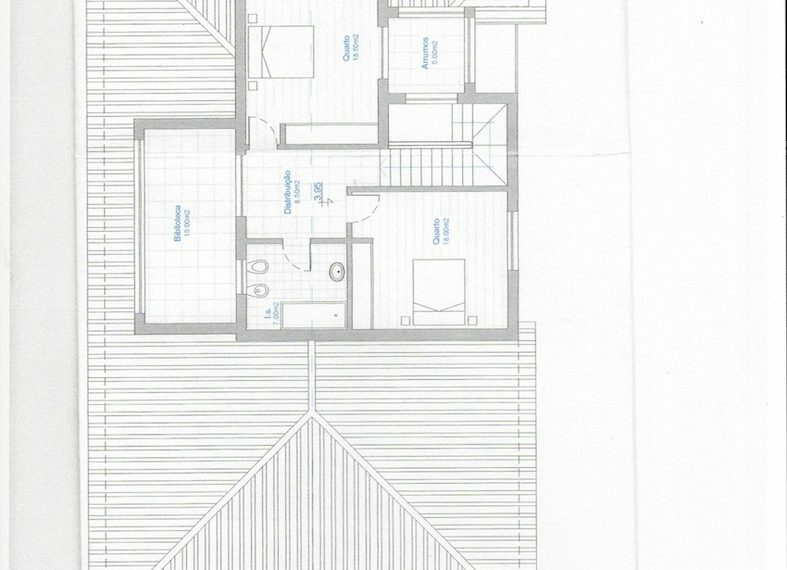 The grounds have a long driveway with space for several cars, a carport and there is extra storage room/potential garage. There are heat-wafer electric heating panels in the living areas. 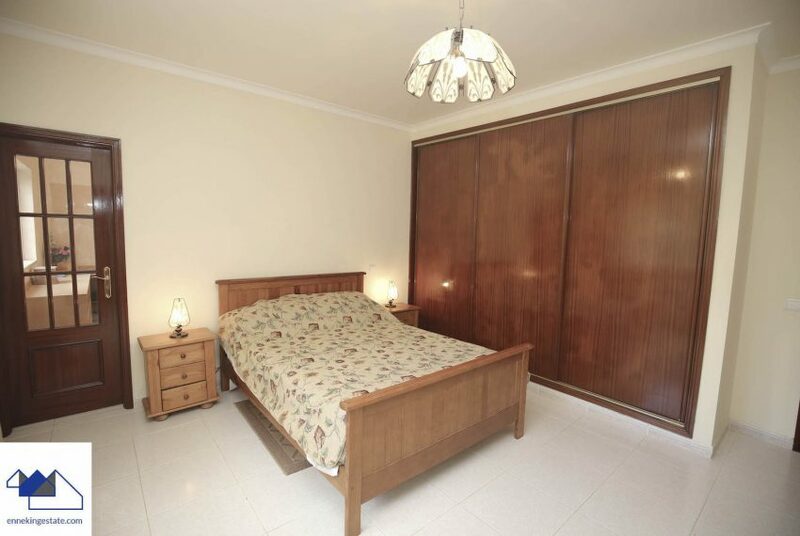 All the windows have manual shutters. All the main bedrooms have built-in wardrobes. 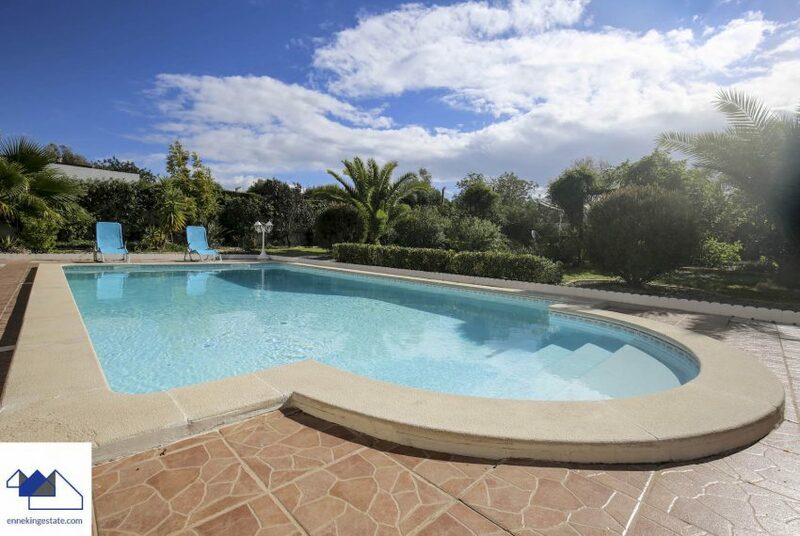 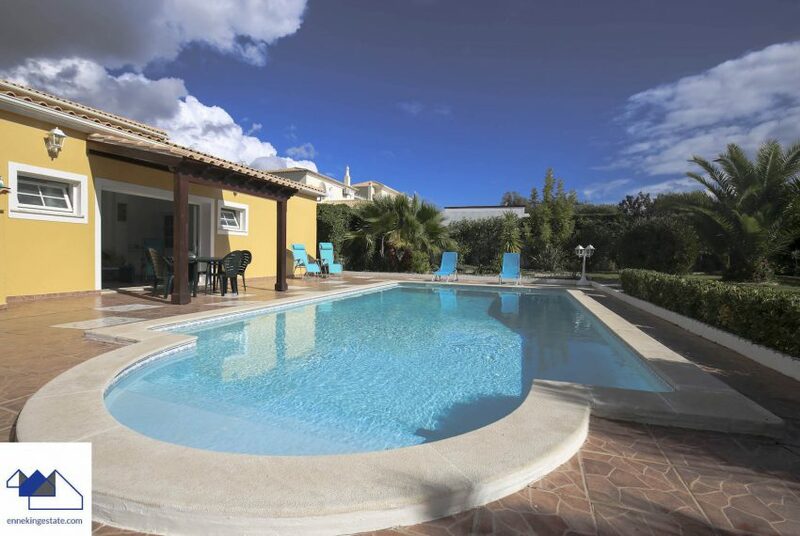 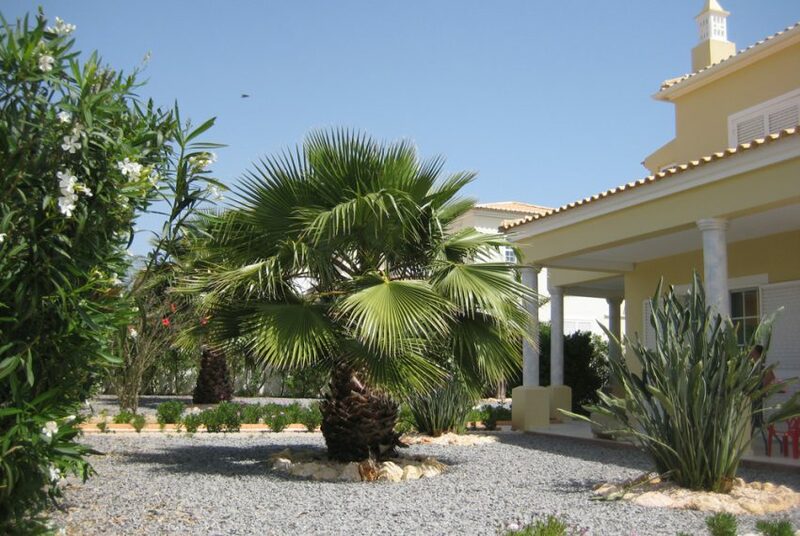 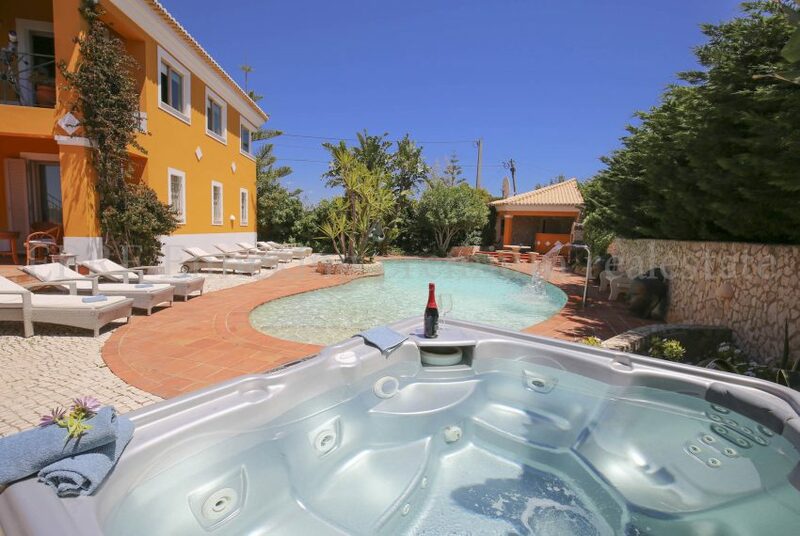 This Large 4 bedroom villa with pool in Ferragudo Portugal is in a beautiful, peaceful, villa urbanisation! 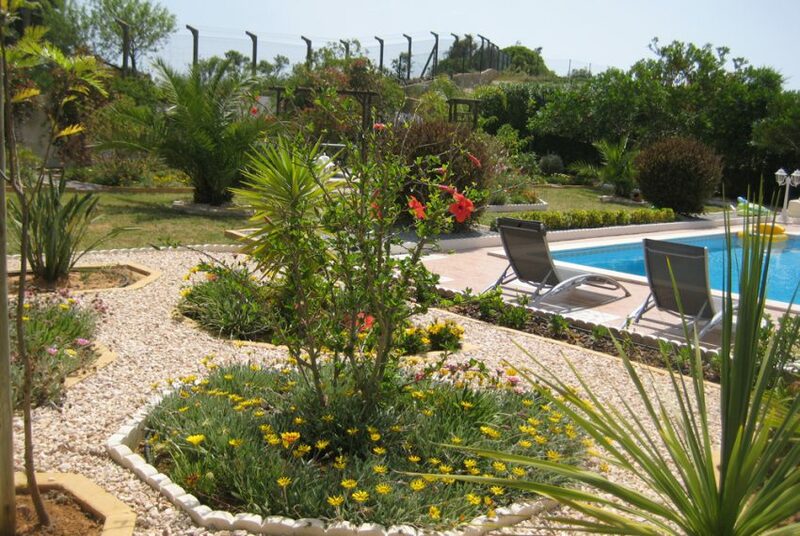 The beautiful fishing village of Ferragudo with all its shops, restaurants and bars is just a few minutes drive. 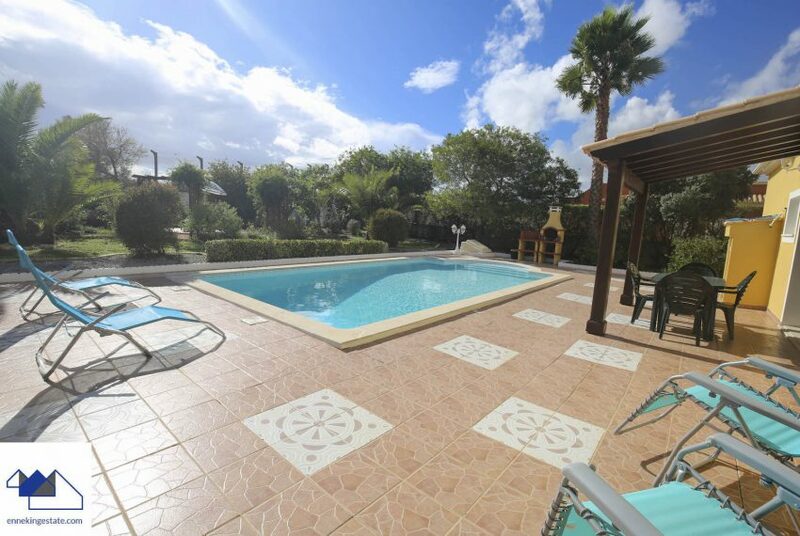 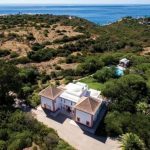 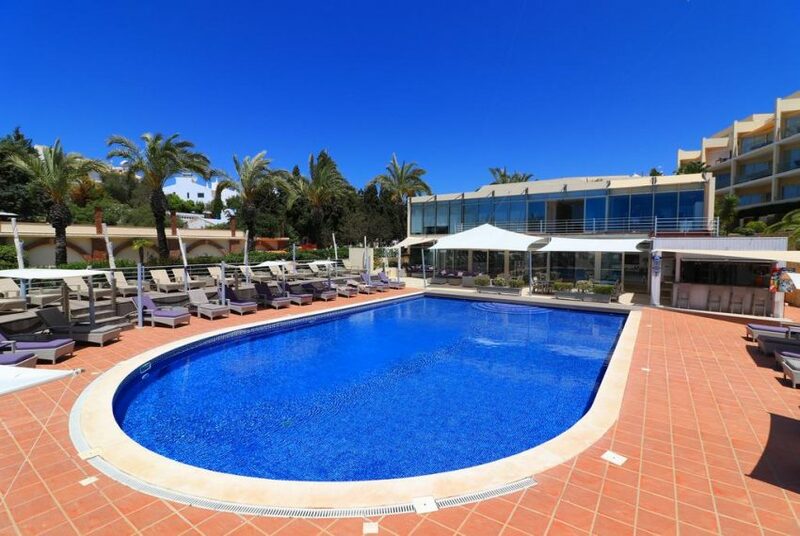 The villa is located on the outskirts of Ferragudo but within a few minutes of the beautiful white sandy beaches like Praia da Angrinha, Praia Grande and Praia de Caneiros. 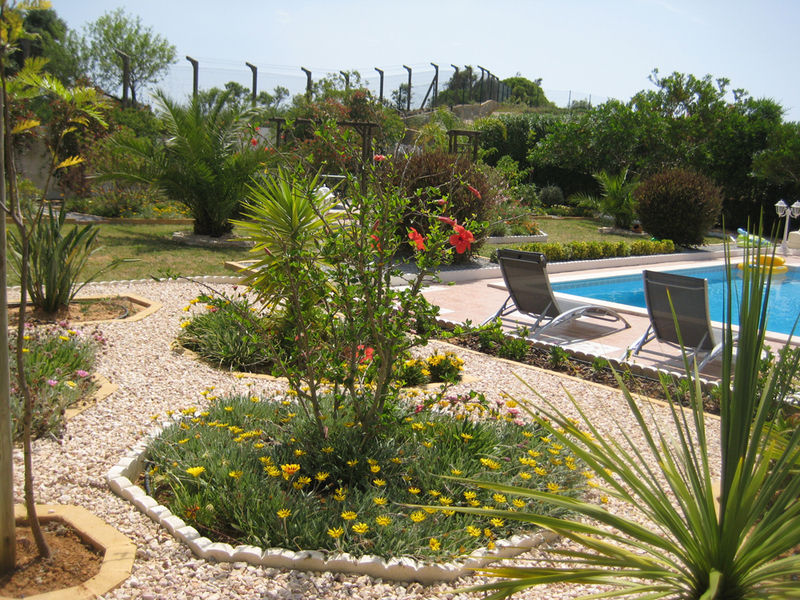 There are several summer beach parties in high season and you can also rent out sun beds for a small fee.